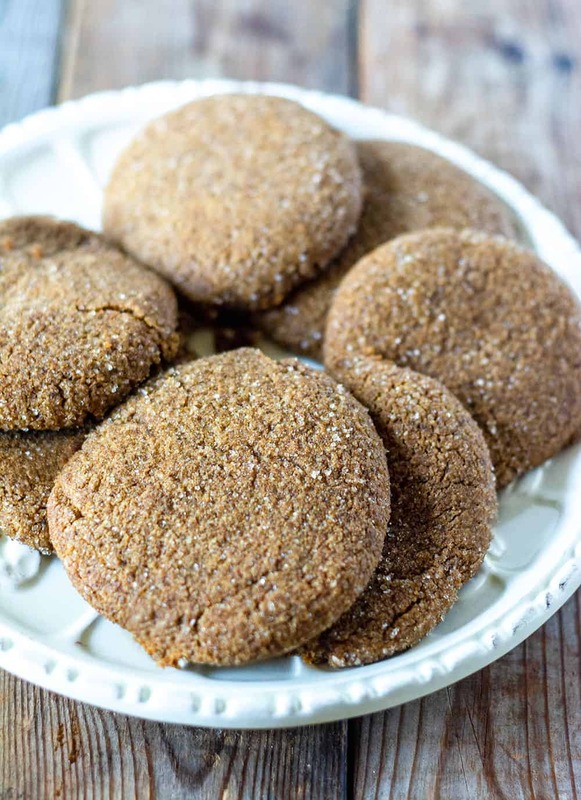 These soft Vegan Molasses Cookies just melt in your mouth, with the perfect blend of spice and sweetness. They are perfect for Christmas. 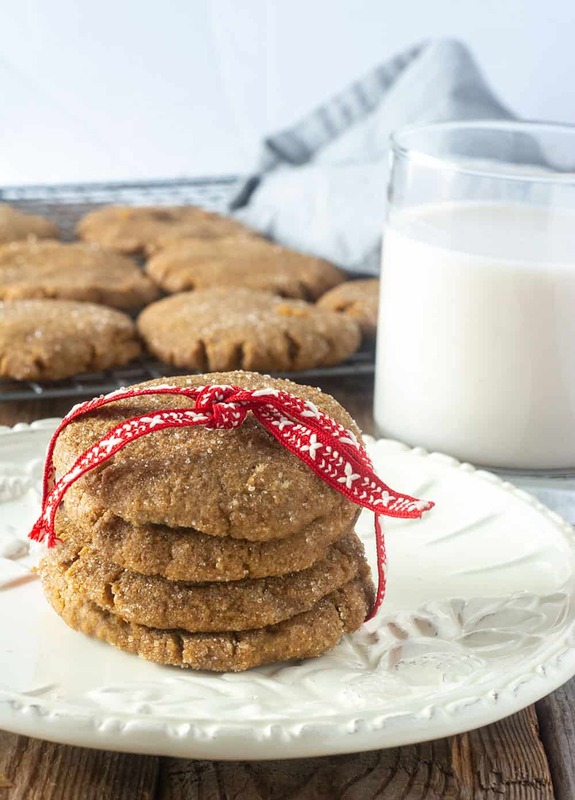 These rich and spicy molasses cookies with ginger, vanilla, and cinnamon are so indulgent, they are perfect to make along with my Oatmeal Cranberry Cookies, Stamped Almond Cookies, And Thumbprint Cookies. 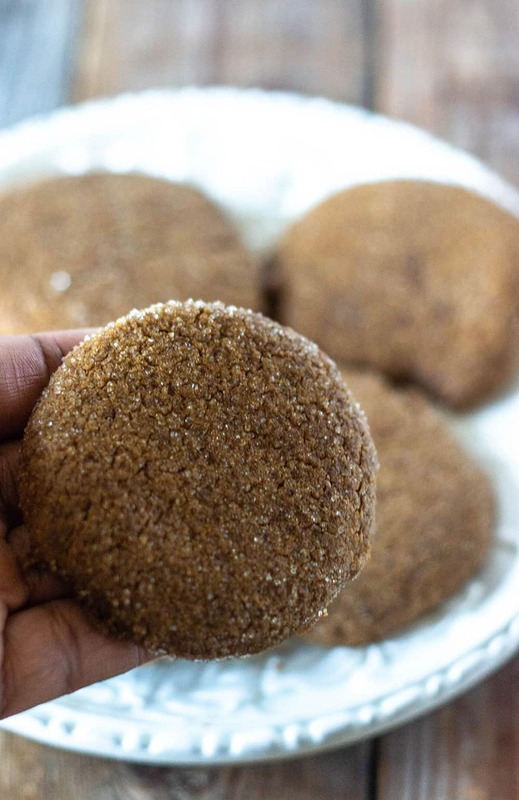 These molasses cookies are vegan and gluten-free, they are super easy to make and they taste amazing. I used Krusteaz All-Purpose Gluten-Free Flour plus Bob's Red Mills Almond Flour for the best texture. They are perfect for gift giving. 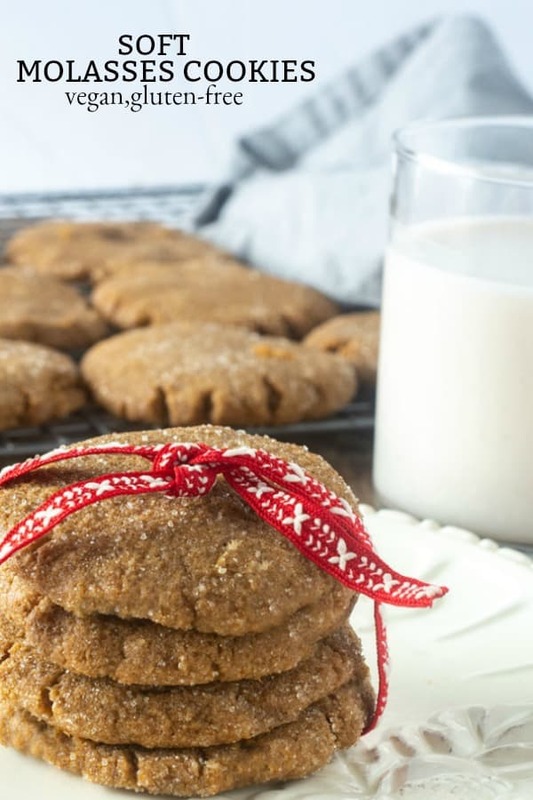 How To Make Vegan Molasses Cookies? Combine all the dry ingredients in a large bowl and set aside. Cover dough and refrigerate for at least 30 minutes. Remove dough from refrigerator. Preheat oven 350 degrees F. Line baking sheet with parchment paper and spray with oil. Divide dough into about 12 pieces and roll into balls. Roll balls into sugar and place on baking sheet. 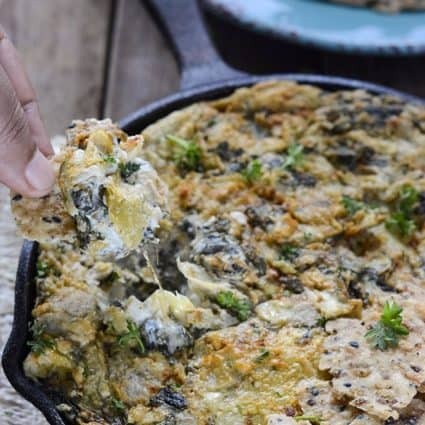 Remove from oven and allow to cool for about 10 minutes before transferring to a serving platter or a cooling rack. The second time I tested the recipe I used all the spices mentioned, cinnamon, coriander, cardamom, and vanilla and it tasted great. 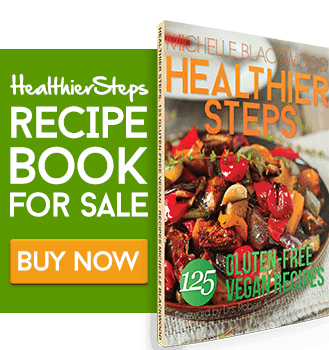 If you make this vegan soft molasses cookie recipe, snap a photo and hashtag #healthiersteps — we love to see your recipes on Instagram, Facebook & Twitter! 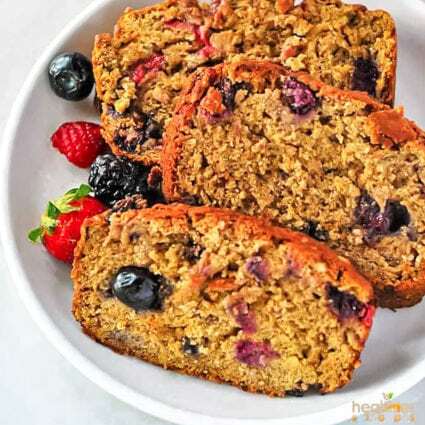 Combine gluten-free flour, almond flour, brown sugar, baking powder, ground ginger, cinnamon, and salt in a large bowl, mix well and set aside. In a medium mix the non-dairy butter, molasses, vanilla and add to dry ingredients. Mix to combine. Cover dough and place in the refrigerator for 1/2 hour or until dough is completely chilled. Preheat oven 350 degrees F. Line baking sheet with parchment paper and spray with oil. Remove dough from the refrigerator and divide dough into about 12 pieces. Roll each piece into a round ball then dip in the extra sugar. Transfer onto a baking sheet, flatten cookies gently with your fingers. Bake for about 10-12 minutes. Remove from oven and allow to cool on baking sheet for about 10 minutes before carefully transferring them to cooling rack or serving platter. Baked these gems today and they were delish! 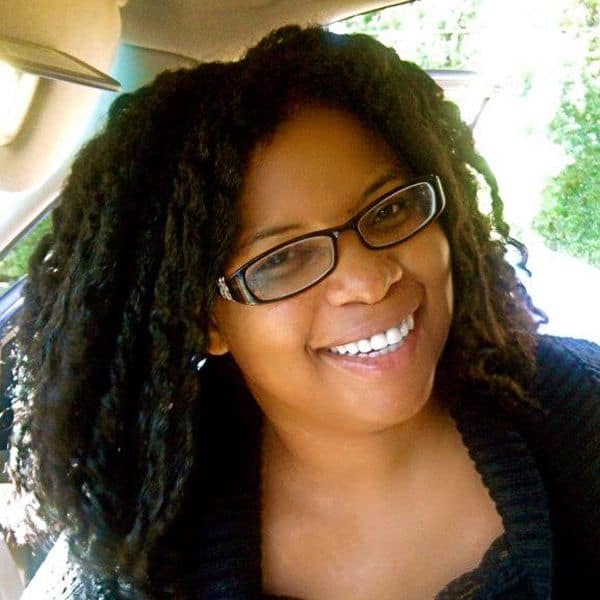 Thank you Shannon, so happy you enjoyed them. Thank you for your feedback. These were so easy to make and delicious. Katie, I’m so happy you enjoyed them. Thank you for your feedback.